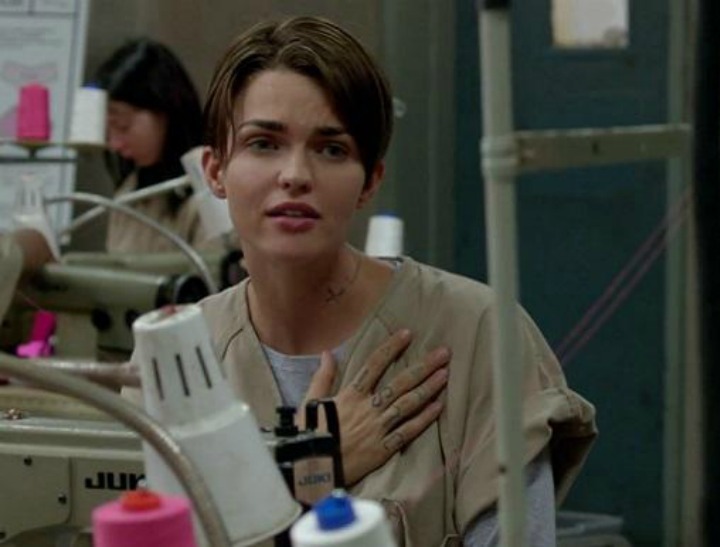 Ruby Rose naked on 'Orange Is The New Black'. 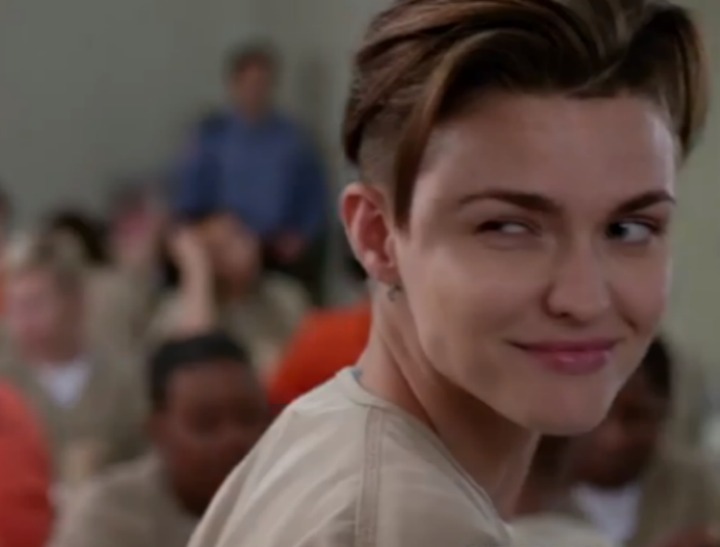 World (*people who love OITNB, Ruby Rose, women, men, binge TV watchers, Netflixers, et al) goes nuts. 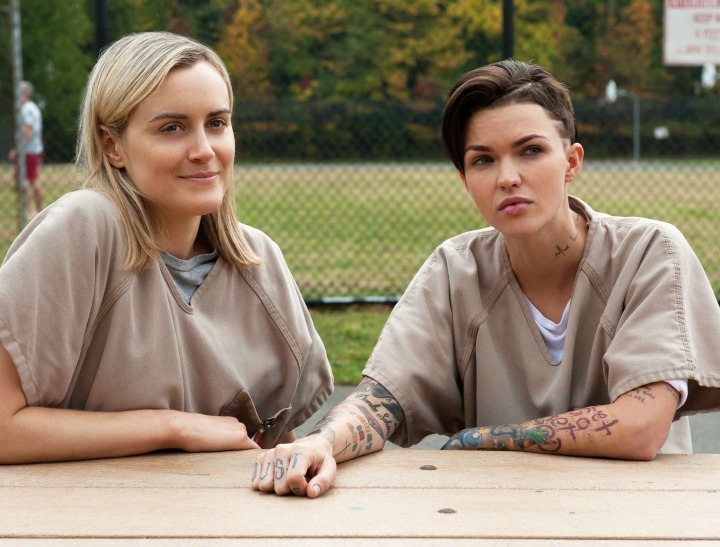 Only five days ago 'Orange Is The New Black' dropped on Netflix. 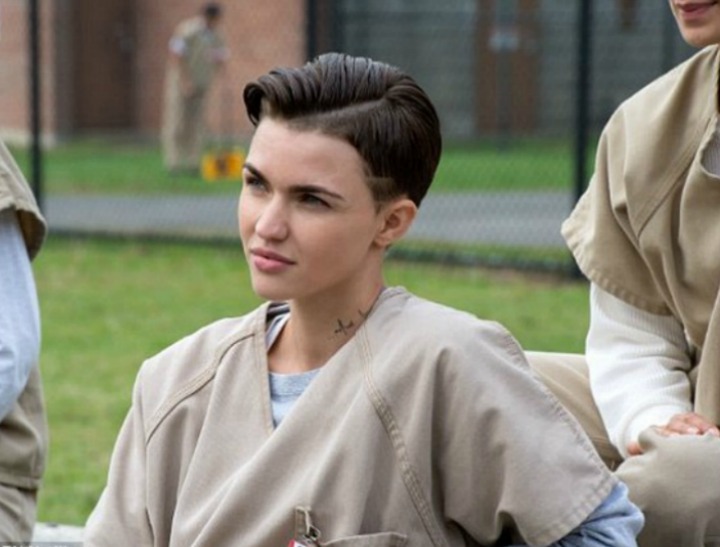 And now, the world is obsessed with Ruby Rose, the Australian actress/TV presenter/model who is at the OITNB prison and instantly made her mark as 'Stella'. And because of this on-the-global-radar status for Ruby, her almost one year old video called 'Break Free' is being viewed all over again. It's "a short film about gender roles, Trans, and what it is like to have an identity that deviates from the status quo." 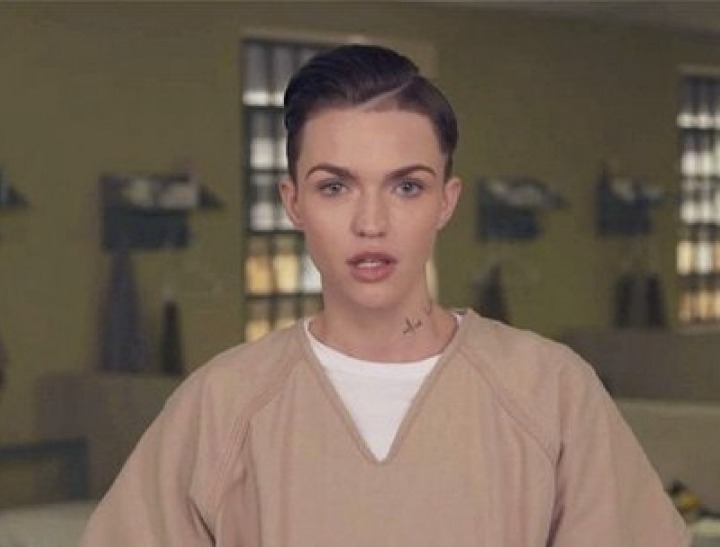 It's written, produced and stars Ruby Rose. It's directed and edited by Phillip Lopez. And it's styled by Ruby's fiancee Phoebe Dahl.